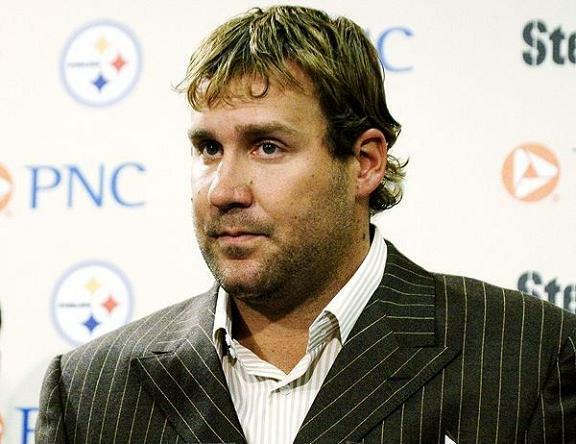 Here is the latest direct from the mouth of Ben Roethlisberger - or at least someone close to him. Personally, I get very little value out of canned statements like these or the one read by Tiger Woods a few weeks ago. But if the powers be feel that this will make some sort of a difference in his long road back to restoring his name on some level, then by all means, release as many scripted statements as necessary. "The Commissioner’s decision to suspend me speaks clearly that more is expected of me. I am accountable for the consequences of my actions. Though I have committed no crime, I regret that I have fallen short of the values instilled in me by my family. I will not appeal the suspension and will comply with what is asked of me ─ and more. Missing games will be devastating for me. I am sorry to let down my teammates and the entire Steelers fan base. I am disappointed that I have reached this point and will not put myself in this situation again. If he doesn't issue a statement people blast him. If he DOES issue a statement like he did today people still aren't happy. He apologized for what he did and wants to move on, can we PLEASE stop talking about Ben Roethlisberger? For the record, I haven't heard one apology from Ben himself, only his publicist. I'm not one to 'demand' an apology as a fan. He doesn't 'owe' anybody anything. He's an employee in a free market system and his value to whomever precedes any 'demand' of any apology. The worst sign is half-assing it through his publicist's words. A statement through his publicist at this point is empty and tactless. His hair sure does grow fast..
Joseph, that picture is not from today. That his from his press gathering last July. Today's statement was a release, not a public gathering. What a lame assed statement. Why can't he just say that he's acted like a cretin, abused his privileged status, and vows from this day forward to always put himself in the shoes of those who have no power in this world. In other words, to be a humble person, thankful and aware of his good fortune, and to be an empathetic human being. If he said something like this people might actually rally to his defense. Instead, he comes across as a dolt who can't wait to abuse the next coed. Idiot. How can you defend him now, other than the defense that he's a moron.